Dr. John C. Paris, DMD, MSD - Periodontics, laser, implant and cosmetic oral surgery. As one of America's leading Periodontist and oral experts, Dr. Paris has been named America's Top Dentist (2006-2018), Texas Dentist of the Year five consecutive years (2005-2018), and Ft. Worth Top Dentist from 2001 to 2018. 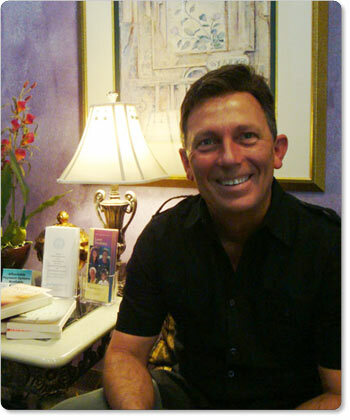 Dr. John C. Paris has over 30 years of experience and has been nationally recognized for his service and expertise. 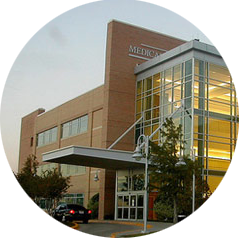 He has completed research and has been affiliated with eight different hospital-based educational institutions. Dr. Paris is the only periodontist in the area that has hospital privileges and works closely with hospital physicians. Dr. Paris is in good standing with the Medical City of Arlington, Texas State Board of Dental Examiners and Ft. Worth District Dental Society. National Academy of Laser Dentistry, Academy of General Dentistry, Implant Prosthodontic Section of the I.C.O.I. Each staff member is focused on your individual care. Kerri, Office Manager – Has extensive dental training and experience. An expert in dentistry techniques and financial options maximizing dental insurance benefits. Married with 3 children. Time spent teaching at her church, going on mission trips. Works with adolescent females. Jessica, Certified Surgical Assistant – Extensive dental training and experience. Assisted Dr. Paris over 6 years. Expert in advanced surgical techniques and restorative procedures. Married with 2 children. Enjoys vacations in the Carribean; likes camping and outdoor sports. Tatiana, Registered Dental Hygenist – Extensive experience in nutrition and periodontics with expanded responsibilities as a dental hygenist. She has three children and is committed to providing them with sound guidance. Chris, Certified Surgical Assistant – Completed training for Fireman Academy. Successfully finished EMT and paramedic training. Great adjunct for emergency response in our office. Loves extreme sports; married to Rachel; has two "children" – Zeke and Zoe, Great Pyrenees and German Shepherd mix puppies. Has a daughter in college.